Nothing beats a good BBQ during the warm summer months. If you are a regular BBQ enthusiast, you will understand that a good grill can make all the difference. Pellet grills cook food over real hardwood pellets instead of charcoal. They are favored as they provide great tasting food every time. 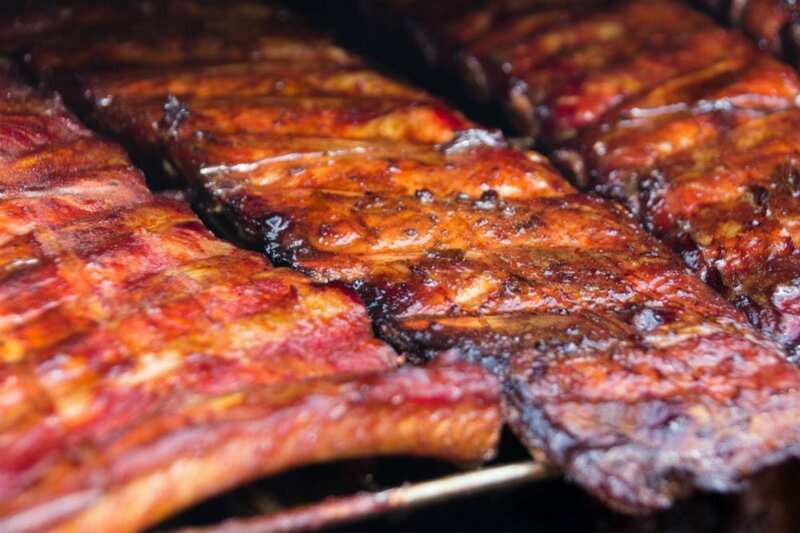 Pellet grills and smokers have increased in popularity, and many people enjoy using them for family BBQs, and even BBQ competitions. They are great to work with as they are often spacious and can easily be wheeled around. If you are interested in purchasing a pellet grill and not sure where to start, in this article we will share advice on what to look for in a pellet grill as well as a product review for one of the top pellet grills on the market – the SmokePro Lux grill by Camp Chef. There are a few factors you should take into consideration when it comes to purchasing a pellet grill. When you purchase a pellet grill, you will want one with a modern temperature control system. Most traditional pellet grills will have antiquated timing sequences that maintain the temperature based on the weather. These can sometimes cause inconsistent results, and therefore not what you are looking for. Instead, look for a pellet grill with a PID temperature control algorithm which will be able to cook with a consistent temperature no matter the weather. You will notice that pellet grills come in many different shapes and sizes. Some grills will feature large spacious work stations, as well as a generous grill capacity to cook large quantities of meat at one time. You can also find grills which will cook in many ways, from grilling to smoking, braising and even baking. Nowadays, it’s possible to find grills with WI-FI connectivity, giving you the ability to control the grill from anywhere. Options will include turning the grill on and off, as well as adjusting the temperature to your liking. Before you purchase your pellet grill be sure to check how many pellets they will consume per hour. Why? because not all grills will cook at the same rate. Some grills will burn around 4-5 pounds an hour, while others may only burn 1 pound per hour. This means you could potentially run out of pellets during your BBQ, so it makes sense to find out how many pellets it burns in advance so you can buy your pellets accordingly. Now we will take a look at one of the top pellet grills on the market, the Camp Chef SmokePro LUX. This is a modern smoker which provides delicious wood-smoke meat. Looking for a new pellet grill? Then look no further as Camp Chef is a good option for you. 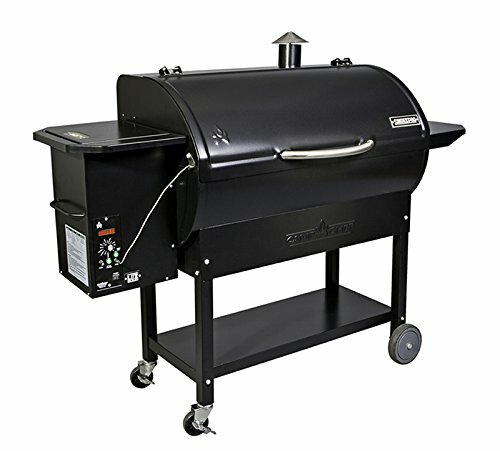 The SmokePro is a versatile and powerful grill which is a favorable choice. We take a look at its features in more detail below. Camp Chef is a specialist in outdoor cooking, and provide a good range of outdoor grills and equipment. Their SmokePro LUX pellet grill is one of the biggest size in their smoke pro line, and is popular for entertaining large crowd with mouthwatering BBQ. If you are serious about grilling, you will enjoy using this pellet grill. Thanks to a generous 875-square-inch cooking space, you have the perfect amount of space to cook your meats, and in the quantities you desire. Let the grill do all the work for you as the pellet auger fills the right amount of pellets into the firebox each time – automatically. The SmokePro’s Smart Smoke technology ensures there is a maximum amount of smoke and provides the best flavor possible every time. With a built-in digital LED temperature display you will always be able to check the temperature and know if you are too high or too low. The setting control panel puts you in charge and means you will always know how your grilling is going, with a stainless steel meat probe, allows you to check the internal temp of what you are cooking. No chances of burned BBQ here. With the Camp Chef grill, cleaning is easier than ever as there is a convenient grease management system which helps eliminate any mess. There is also a patented ash cleanout system which is the easiest way to clean out any pellet grill on the market. The grill also features a large-capacity pellet hopper with a built-in pellet cleanout. Changing pellet flavors has never been better. The included side shelf and large bottom shelf add the convenience of extra work space, while working your BBQ magic. Walking castor wheels provide completely stable mobility, allowing you to move your grill wherever you please on the patio. If you enjoy the delicious wood fired BBQ taste, then maybe it’s time you invest in a pellet grill. They are worth it as they guarantee tasty food each time and are fairly easy to maintain. The Camp Chef SmokePro LUX is worthy of your attention if you want a high-quality grill with low-cleaning maintenance. Not only does this grill clean itself, it also features a lot of extra space, giving you the opportunity to cook for the whole family, or neighborhood if you prefer. We hope this article has given you some inspiration to start looking at a new pellet grill, and hopefully to expand your BBQ experiences next gummer. If you want to be a hit with your cooking, then make sure you try a pellet grill like this offering from Camp Chef.